Gabriele Taddeucci’s passion for food began over two decades ago, with his first role as a pizza hand in his home city, Lucca Italy. Throughout Gabriele’s culinary careers, he has fine-tuned his skills as a chef, working in restaurants throughout Italy, France, Switzerland, England, America and Australia. Taddeucci has worked for a number of leading restaurants and chefs crediting two people in particular for the growth of his career. The first, his mentor Attilio Di Fabrizo, an “old school” Executive Chef for whom he had the privilege to work with in Florence at Villa San Michele Hotel for four years. Taddeucci defines his time with Attilio as being instrumental to honing his skills and growth as a chef. Locanda Locatelli. His experience at Locanda Locatelli enabled Gabriele to further develop and evolve his point of view as a chef and provided him with the skills to take the next step in his career. Next, Gabriele worked at the Westin Hotel in 2004, before moving to Australia in 2008 to work alongside Chef Massimo Bianchi to open Uccello at Merivale’s Ivy. Following two years at Ucello, Taddeucci moved to another of Merivale’s establishments and was appointed Head Chef at The Beresford. In 2011 he met Stefano Manfredi and fell in love with his new restaurant concept at The Star and in September of that year Taddeucci commenced working at Osteria Balla as Head Chef. 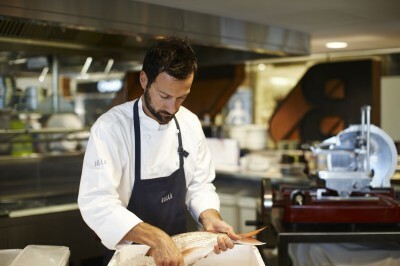 In his role, he works closely with Stefano to deliver a modern interpretation of Italian osteria cuisine. 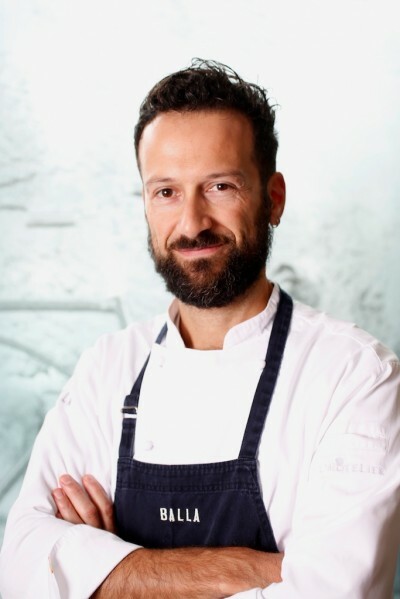 With Gabriele at the helm of the kitchen, Balla has gone on to win many awards, including being awarded 1 Hat by The Sydney Morning Herald Good Food Guide and being cited as Best New Restaurant of 2012, by Condé Nast Traveller – Hot Tables.